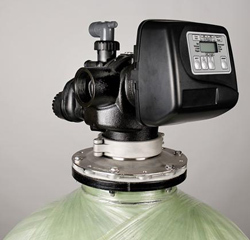 A wide variety of businesses, retail establishments and schools use commercial water softeners and filters. Businesses that can benefit from water treatment systems include: health clubs, coffee shops, small to large restaurants, apartments, hospitals, office buildings, car washes, laundromats, nursing homes, shopping centers, hotels/motels, factories, reverse osmosis pre-treatment and many others. Removes low levels of iron and manganese.